Data storage used to be the biggest challenge with big data. Due to advances in cloud infrastructures, storing data is no longer a key concern. Today, the accessing data is the biggest concern data scientists face. Clustering has made big data analysis much easier. However, clustering has introduced its own challenges that data engineers must address. In other words, data engineers use clustering to identify trends and patterns in raw data. They need to break it down and categorize it into clusters. What Are the Primary Challenges With Data Clustering? 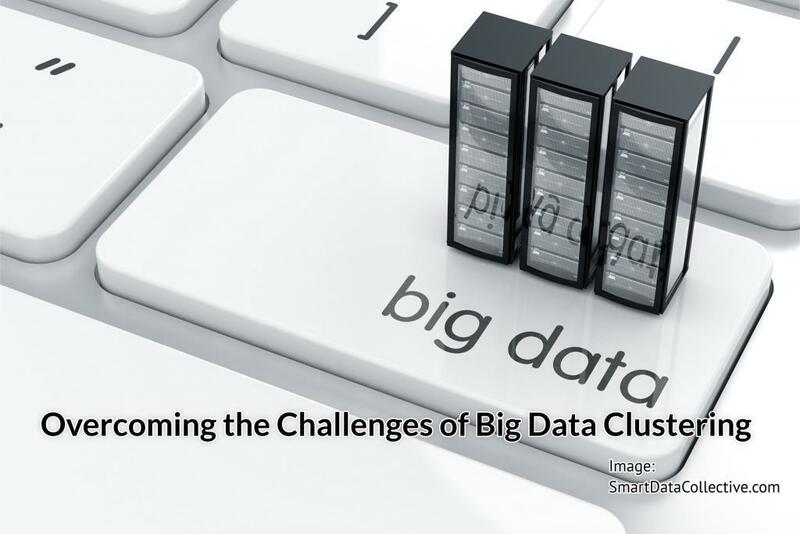 Clustering has been a challenge since the concept of big data was born. The problem stems from the volume of data and processing limitations. The University of Rabat listed the following as the top concerns with big data clustering. The amount of data stored on most networks is growing exponentially. As the volume of data grows, it becomes more difficult to extract it. Backing up data can also amplify these problems. The speed at which data is generated is another clustering challenge data scientists face. This problem isn’t limited to the volume of data on a network. As networks generate new data at unprecedented speeds, they will have a harder time extracting it in real-time. New patterns will be constantly emerging from known data sets. Data analysts may feel they are having difficulty drawing accurate conclusions from data when in actuality their analyses are a better representative of the problem they are modeling. They may not know when to analyze their existing data sets and when to wait for more data to be collected. If data is created faster than it can be extracted, trends may change as they try to collect it. The problem will grow as networks use the Internet of Things (IoT) to collect data from more devices and they can collect data at quicker speeds. Clustered data is stored in many different forms, which can make it difficult to make accurate comparisons. Some data is stored in structured formats, while other data sets are completely unstructured. There are a variety of tools and strategies that simplify the process of extracting and analyzing clustered data. The k-means clustering approach is a portioning-based solution that requires networks to assign objects to one and only one cluster. This eliminates the concern that a single object may bias analysis by appearing in multiple data sets. Unsupervised classification algorithms are data mining tools that consolidate very large data sets based on predefined parameters. This is a good solution for dealing with growing data volumes, especially with robust Hadoop tools. COALA uses instance-level constraints to avoid the problems that arise from similar grouping. The constraints don’t need to be met with 100% satisfaction. As the number of variables increases, total data volume increases exponentially. The problem can be mitigated by using dimension reduction strategies (otherwise referred to as a dimensionality reducing transformation). Data clustering is a solution to many of the problems wrought by storing high volumes of structured and structured data. However, it isn’t an infallible solution because data still needs to be accessed and analyzed as quickly and accurately as possible. Fortunately, there are a number of great tools and approaches that simplify the process.